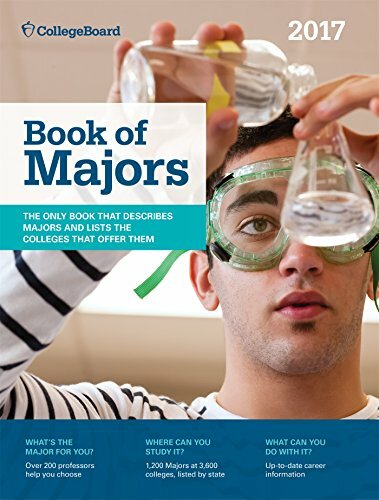 The Book of Majors 2017 helps students answer these questions: What’s the major for me? Where can I study it? What can I do with it after graduation? Revised and refreshed every year, this book is the most comprehensive guide to college majors on the market. ln-depth descriptions of 200 of the most popular majors are followed by complete listings of every major offered at more than 3,800 colleges, including four-year and two-year colleges and technical schools. The 2017 edition covers every college major identified by the U.S. Department of Education – over 1,200 majors are listed in all. This is also the only guide that shows what degree levels each college offers in a major, whether a certificate, associate, bachelor’s, master’s or doctorate. The guide features: insights from the professors themselves on how each major is taught, what preparation students will need, other majors to consider and much more updated information on career options and employment prospects. the inside scoop on how students can find out if a college offers a strong program for a particular major, what life is like for students studying that major, and what professional societies and accrediting agencies to refer to for more background on the major.